This must be the place to be! 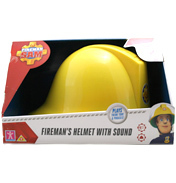 The town of Pontypandy is the home of Fireman Sam and it's where all the action takes place! There is plenty to keep the team busy here. 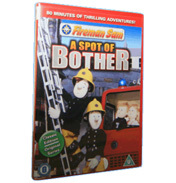 If it's not naughty Norman Price leading the twins, Sarah and James, into trouble and dangerous situations, then it's Charlie Jones getting lost at sea. 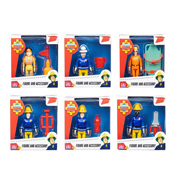 But don't worry because there's always someone ready to save the day! 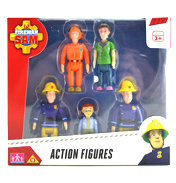 Meet the team:- Fireman Sam is the number 1 hero. He is extremely brave and everyone can depend on him no matter what the time of the day. 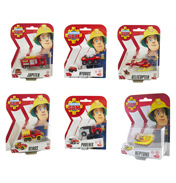 Especially as he is armed with Pontypandy Fire Station's pride and joy….Jupiter Tom is based on the lower slopes of Pontypandy's mountain range and is always on the watch for anyone whom may need his help, bounding into action as he has 2 rescue vehicles. 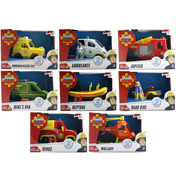 The helicopter is Tom's favourite vehicle and is for all those very risky rescues that must be done. He also has a 4x4 that can drive over any rough and dangerous terrain. Next up is Elvis. 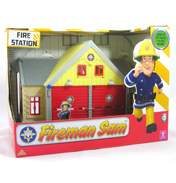 He is the fire station cook who is always ready with a fabulous meal to feed the team, keeping them strong and ready for action. He also enjoys a bit of rock and roll and is often seen grooving to it whilst he cooks! 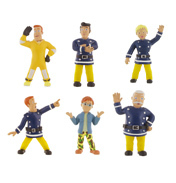 Then there is Penny, the only female fire-fighter in Pontypandy. She is also trained as a coast guard and she enjoys driving both Neptune and Venus. Penny is a fitness fanatic and is always hiking, running and abseiling. 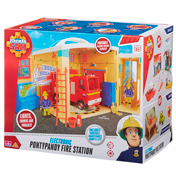 Ooooo we nearly forgot, Station Officer Steele, the senior officer at Pontypandy's fire station. If you are ever lucky enough to work with him just remember to ALWAYS follow the rules! That's his favourite thing to do. Nurse Flood and her Ambulance are another valuable asset to the team. She is cool, calm and efficient, letting nothing phase her even when she arrives at some of the biggest disasters. This is just as well, as she's married to Mike Flood who seems to be very accident-prone! 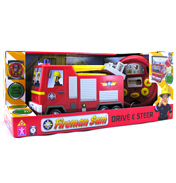 On this shelf you will find a range of Books, DVD's, Games, Play sets, Puzzles, Role-play items and Vehicles. 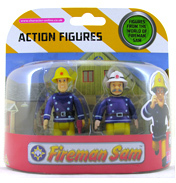 Now that you have all met the rescue team, why not spend some time getting to know the locals. The town just wouldn't function without them! Trevor runs the trusty bus service, keeping Pontypandy and Newtown running like clockwork. That is unless he reschedules it all to have a lovely cuppa with no one other than the lovely Dylis Price, of whom he is quite fond. There nothing better he would like to do than visit the supermarket and listen to Dylis gossip about what's what. No wonder she has so much to say with a son like naughty Norman She can really talk your right arm off. 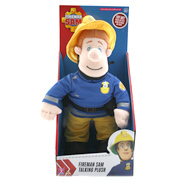 Then there is Charlie Jones, Fireman Sam's brother. He is very patient, especially with children, and is often in a world of his own whilst enjoying sailing on the sea. He is married to Bronwyn who runs Wholefish Café. She is a big kid at heart enjoying nature, stories, magic and fairies. Together they have 2 children who are actually twins, Sarah and James. But let's not forget Radar, Lion, Woolly and Lambkins. Radar the Dalmatian is the fire station's very own firedog. He has great hearing and a sensitive nose but is also loyal and lovable. Lion is the Jones's family cat which was once a stray with a taste for fish. He's very gentle despite his name! Not forgetting the sheep. There is Woolly, who is Normans pet sheep and acts more like a dog than a sheep and Lambkins is her baby.